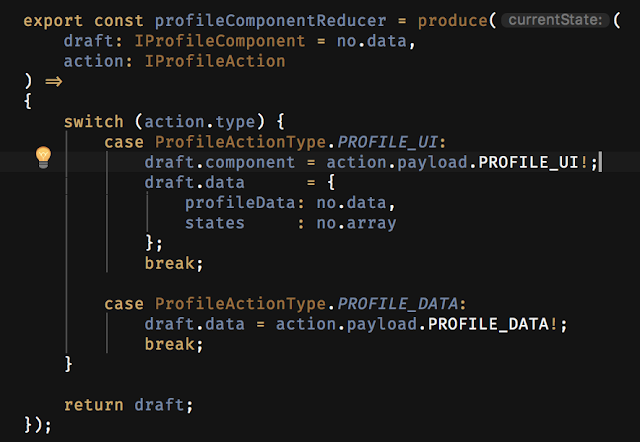 With the following payload signature.. 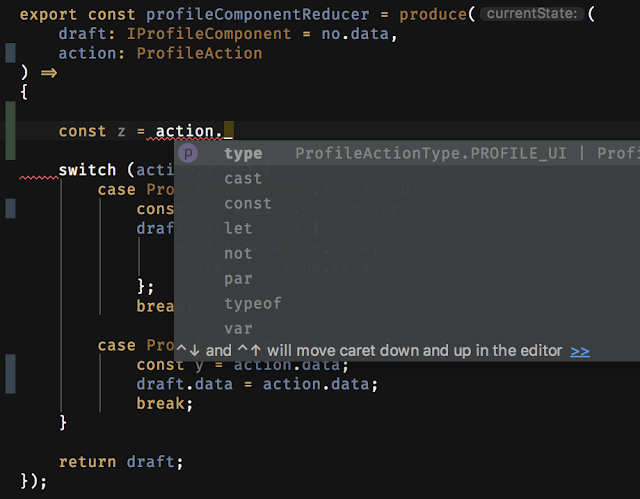 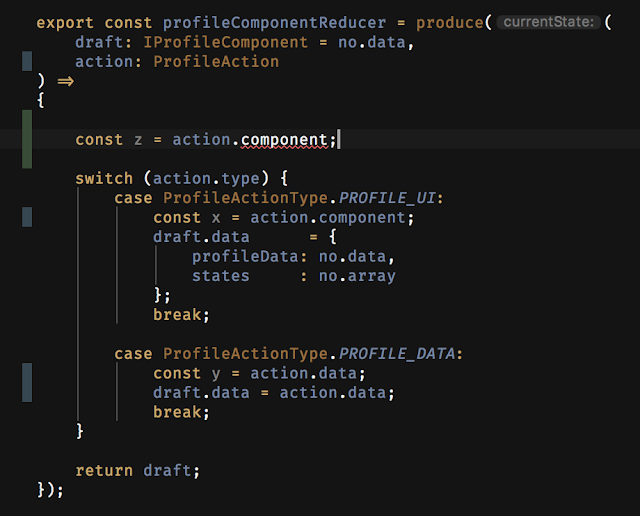 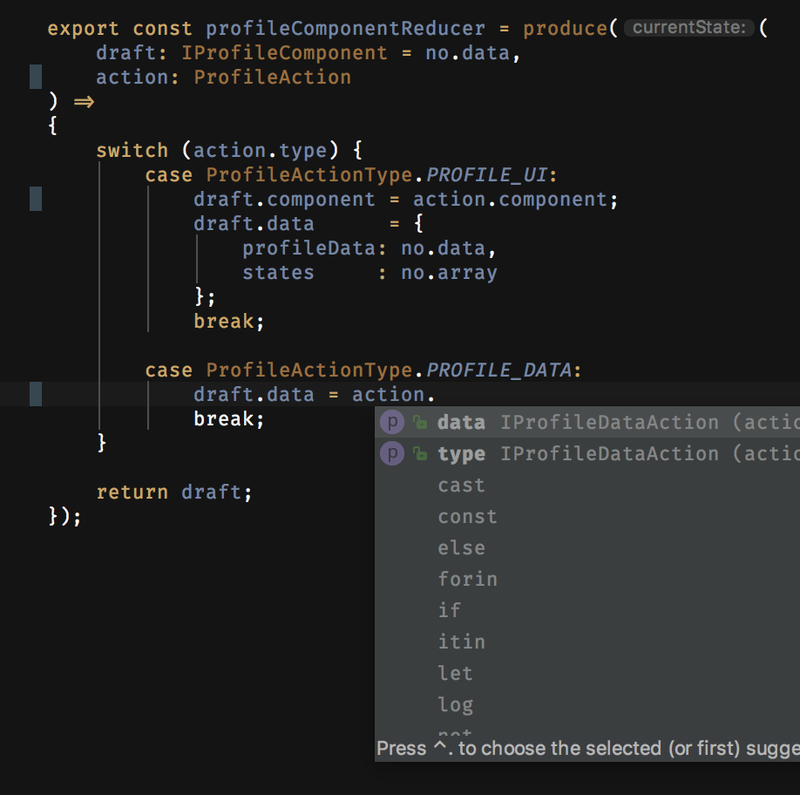 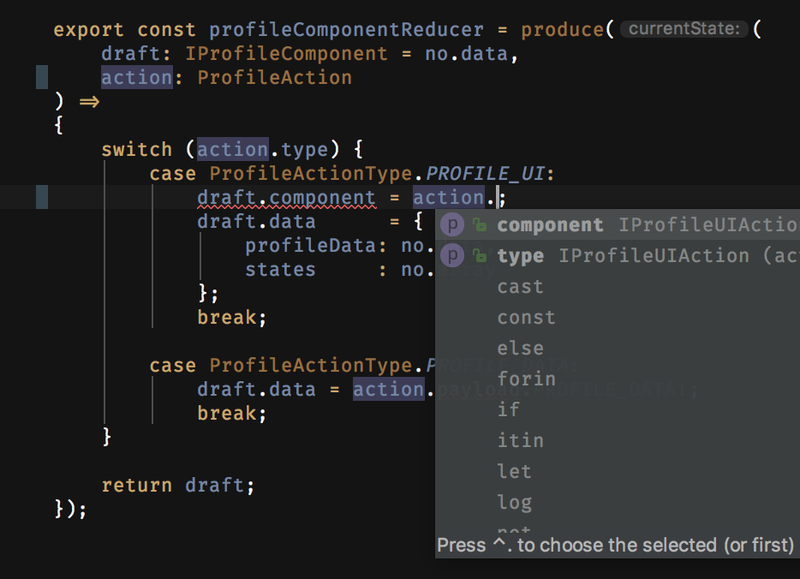 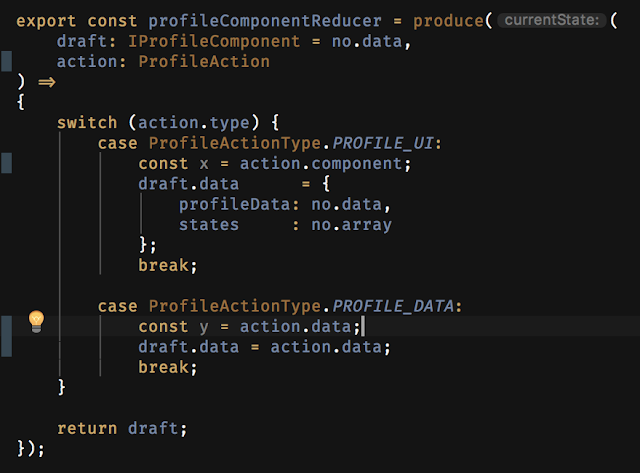 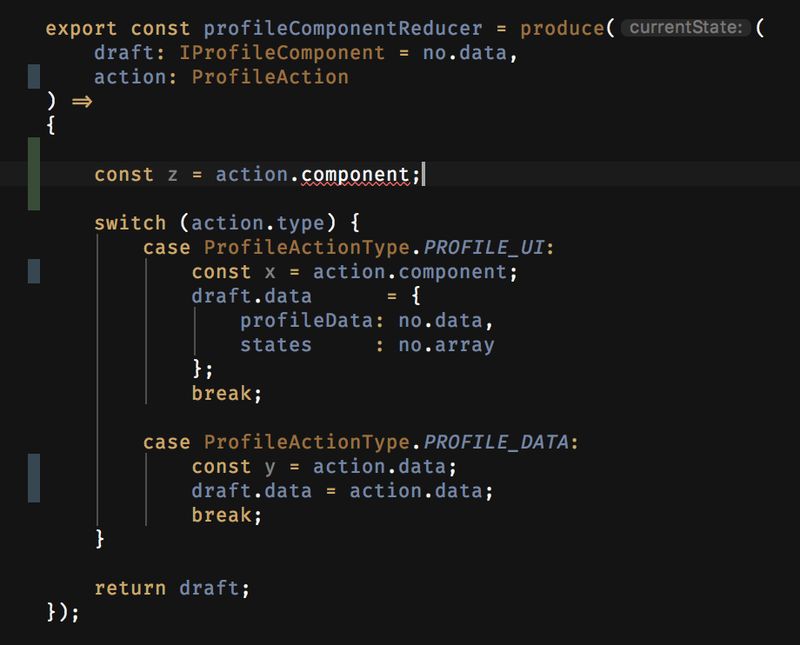 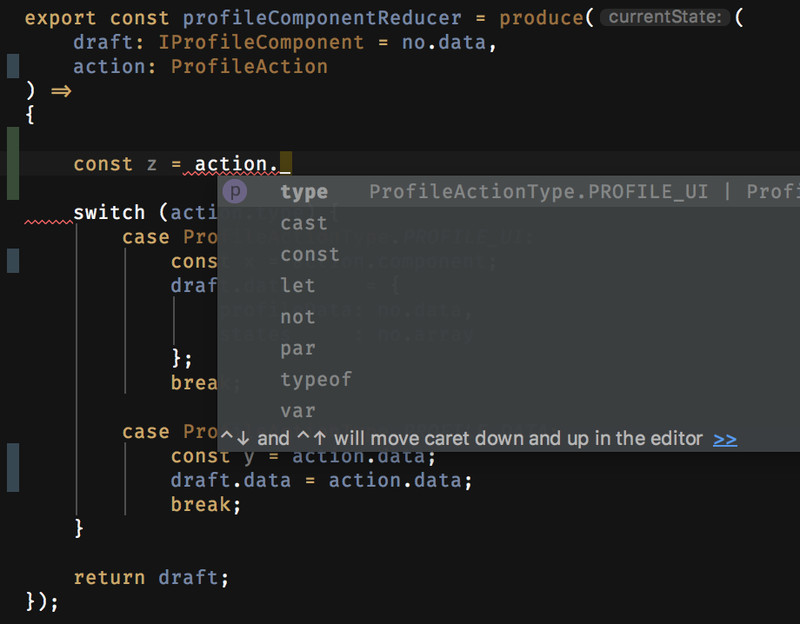 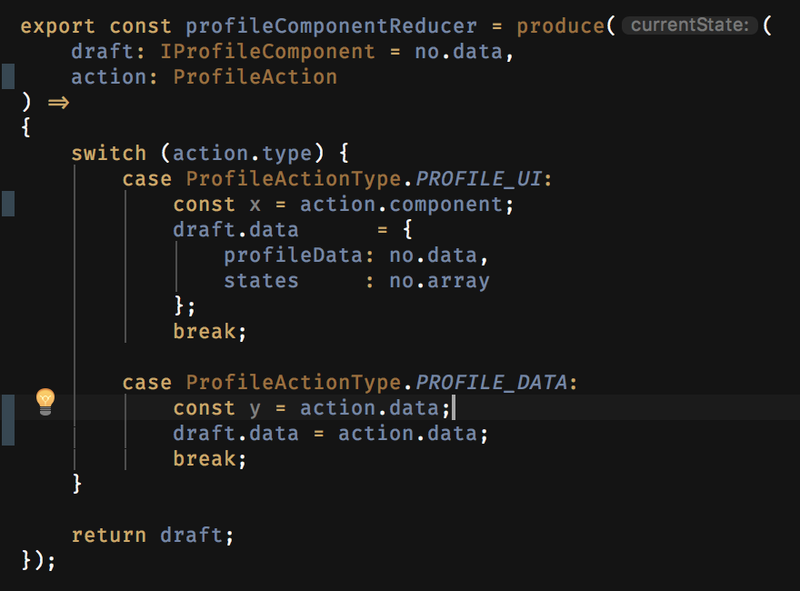 Likewise with ProfileActionType.PROFILE_DATA, only the data property of ProfileAction will be available from ProfileActionType's intellisense. 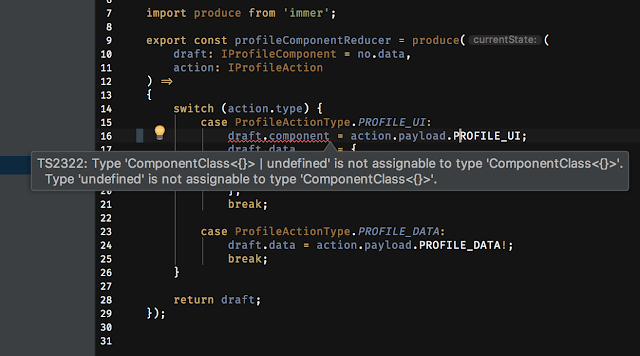 And that is not just an intellisense feature, it's a language feature. 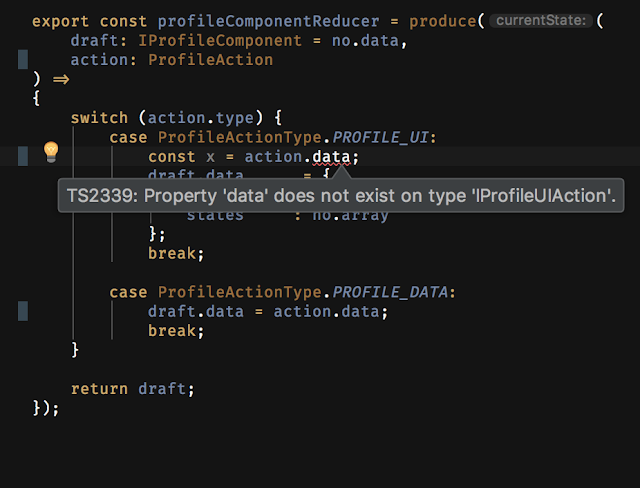 So if you try to get the data property from ProfileAction when the condition (switch case ProfileActionType.PROFILE_UI) is in ProfileActionType.PROFILE_UI, it will not be possible. So awesome! 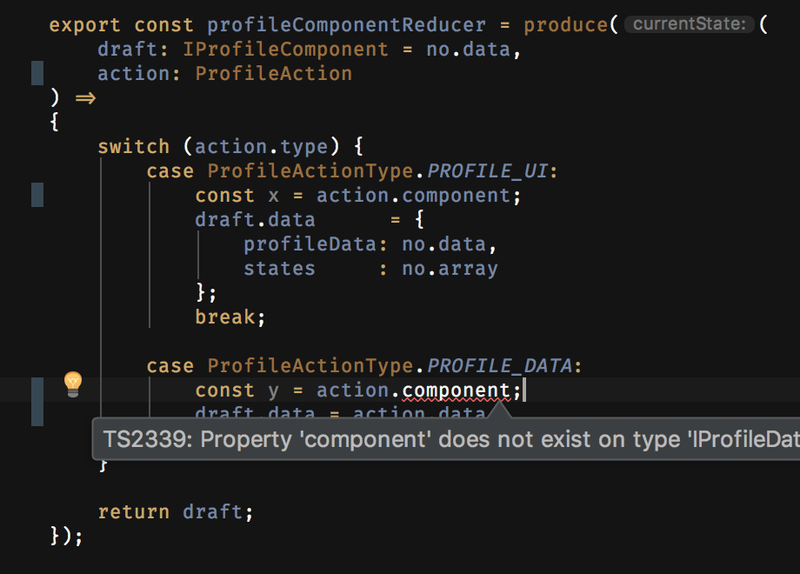 TypeScript truly feels magical that it can infer the right data structure based on the condition. 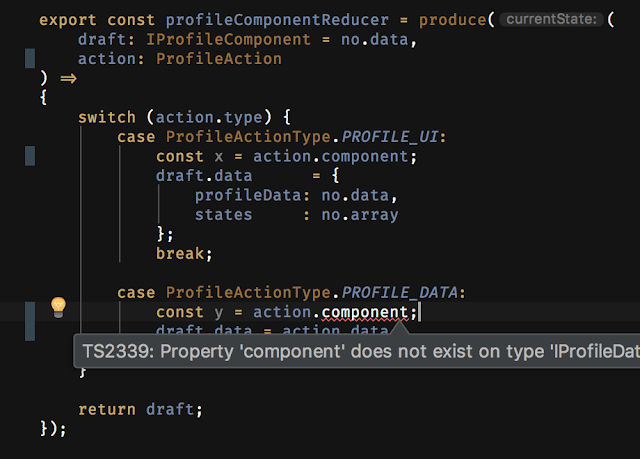 If you try to select the properties from action outside of switch condition, you can't select the component property neither the data property.